Chart out adventures with the Amble 47” TV Stand. 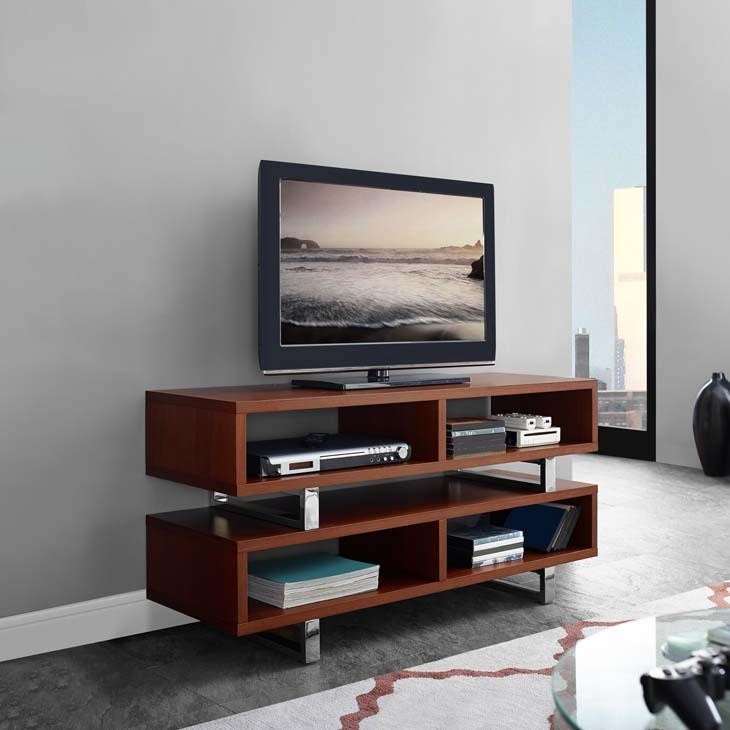 Amble’s open design adds dimension while the easy clean walnut grain veneer surface create a sleek modern look. 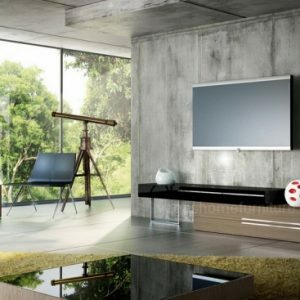 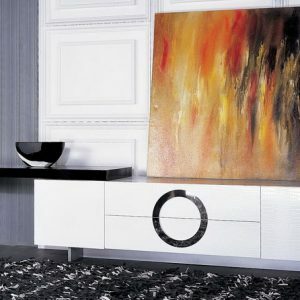 Made of durable fiberboard, Amble features polished stainless steel supports and protective pads. 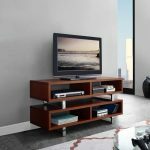 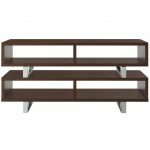 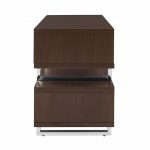 A balanced presence in your living, lounge, recreation or family room, display your television, books, and accent pieces with this standout contemporary modern TV stand and media console table.